Ma-Yi Theater is participating in the Creative Fellowships Initiative in partnership with School of Drama. Ma-Yi Theater Company recently enjoyed great critical and popular success with Hansol Jung’s Among The Dead, A. Rey Pamatmat’s House Rules, and Nadita Shenoy’s Washer/Dryer. The company won the Off-Broadway Alliance Award for its critically-acclaimed production of The Wong Kids in the Secret of the Space Chupacabra Go!, which recently made its international premiere at the Cultural Center of the Philippines in Manila. 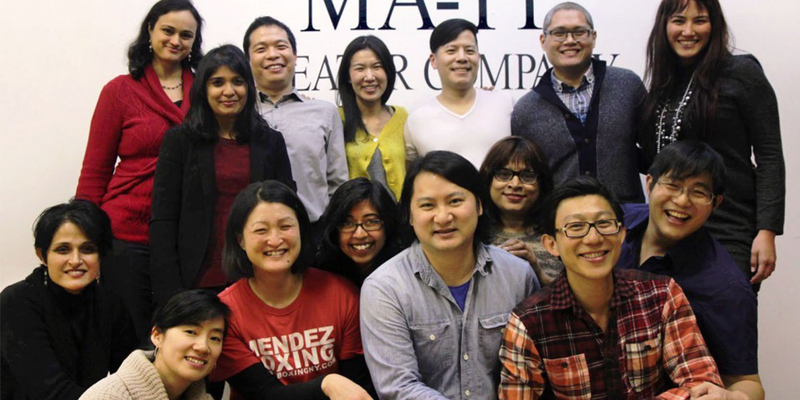 Founded in 1989 and now celebrating its 28th season, MA-YI is a Drama Desk and OBIE Award-winning, Off-Broadway not-for-profit organization whose primary mission is to develop and produce new and innovative plays by Asian American writers. Ma-Yi Theater is under the leadership of Producing Artistic Director Ralph B. Peña and Executive Director Jorge Z. Ortoll. Ma-Yi Theater Company in New York City, a company devoted to cultivating Asian-American voices in the American theatre, send a changing contingent of playwrights from their Writers Lab. Playwrights will participate in 1-week teaching residencies, 2-week developmental residencies, and/or month-long writing residencies. In 2017, UW hosted Kyoung Park and Deepa Purohit for teaching residencies and Dustin Chinn for a one-month writing and research residency.